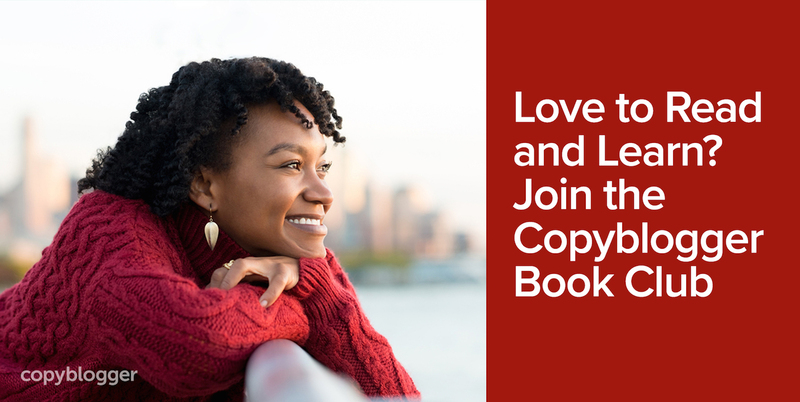 I’ve wanted to start a Copyblogger book club for a long time now. My team and I read dozens (maybe hundreds) of writing, marketing, and strategy books every year. And every year, a few stand out as being particularly useful. “In a narrative, the chief duty of a sentence is to lead to the next sentence. I chose Steering the Craft as our first selection partly because of my admiration for Le Guin’s prose. She had a particular gift for the music of language, and a controlled voice that could paint intensely complex pictures with just a few words. It’s also a practical book for working writers. Le Guin keeps her focus on craft, and the book is useful for content creators who want to sharpen their writing voices and find compelling individual styles. Her focus on narrative (rather than fiction) makes Steering the Craft particularly applicable to content creators, compared with many other creative writing manuals. You’re welcome to buy the book or get it from the library. We’re just starting, so you can jump right in. We’ve been having some great conversations. Aaron had a (controlled) freakout over the whole idea of “gorgeous” language. Jan talks about how writing exercises can expand our skills, even when they’re not directly related to client work. And Julia has us thinking about the role of the semicolon in web-based content. Pretentious? Useful? Overshadowed by its bolder cousin, the em dash? I hope you’ll throw in your two cents. Book club conversations are easy to find — they’re marked with the hashtag #bookclubleguin.